Paola Stange is a founding partner at Stange Law Firm, PC. Paola received her juris doctorate from Emory University School of Law. Paola is licensed in Missouri and Georgia (inactive). Paola has years of family law experience and is a trained mediator, collaborative law attorney, and guardian ad litem. Paola was one of five guardian ad litems selected by St. Louis County Circuit Court Judges in 2011 to receive the Outstanding Volunteer Domestic Violence Guardian ad Litem Award. 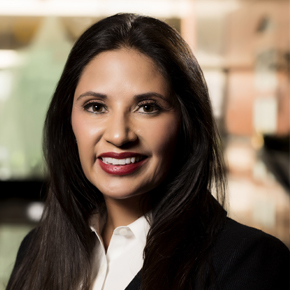 Further, Paola graduated from the ABA Family Law Trial Advocacy Institute in 2007. Paola has also presented at CLE Seminars for the Missouri Bar and the Bar Association of Metropolitan St. Louis. Paola is the Treasurer of Old Newsboys in St Louis, Missouri. Paola, along with her husband, Kirk, and Stange Law Firm, PC, received the 2015 Making a Difference Award and 2016 Golden Plate Award from Old Newsboys. Old Newsboys is a non-profit organization that has raised millions of dollars for hundreds of area children's charities. Paola is also on the Board of Trustees of the Endangered Wolf Center and the Board of Directors of the Mid-County YMCA in St. Louis.